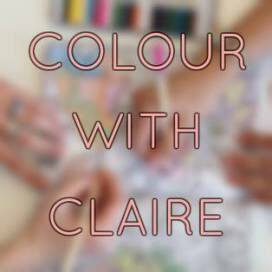 Alice Chadwick has been on my radar since I first started colouring. Her first book, Birds & Butterflies, is a good book for a beginner colourer and I gave it to my Mother last Christmas. Her second book, Dream Cities, is one of my colouring-the-whole-book projects and I'm just over halfway. Now, a year later, Alice has illustrated Secret London. Who will love it - those who love London and all things English and those who have enjoy Alice Chadwick's drawings. You can read my review of Dream Cities, and see my colouring progress - here. I've only spent a few days in London but I feel a natural fondness for its history, landmarks and character. 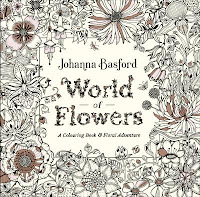 This colouring book covers all of that and more. 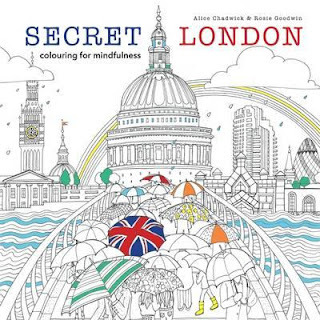 I'd be interested to know if Londoners do in fact find something "secret" in this book. There is a hidden element, so as you colour, you'll find anything from queens to telephone boxes. It's the sort of book that will put a smile on your face. If you've lived in London, perhaps it will bring back happy memories as you colour. Several of the images are double page spreads but the book lies quite flat so you shouldn't have too many problems colouring into the spine. Alice's drawings capture lots of the essence of London life and you'll see from the flip through video above, the wide variety of subject matter. I particularly like the final images of Christmas in Oxford Circus. There are a few wallpaper double spreads if you enjoy doing these and many of the images are single page ones. There's no vast expanse of white background for you to be concerned over either. Line width is medium to fine throughout and there are no black backgrounds. The book has a cheery cover with a splash of London rain and the French flaps on the inside front and back covers open out to reveal the colourable LONDON image that I coloured above (it appears inside the book too).There is an I spy page of items you will discover as you colour. After a chatty introduction telling you about the book, inviting you to have a cup of tea and talking pencils etc, there is a simple double spread map of London for you to find your way. At the back of the book is a pictorial index showing you where the hidden objects are in each image. Also this index gives you a sentence of background information on the location and interesting chatty tidbits. For instance the Queen was given her her first corgi, Susan, for her 18th birthday! The paper is white and has a bit of tooth which should be good for pencils. There are plenty of spots for you to try out water-based pens before using them. 12 Must See New Books for November - here. 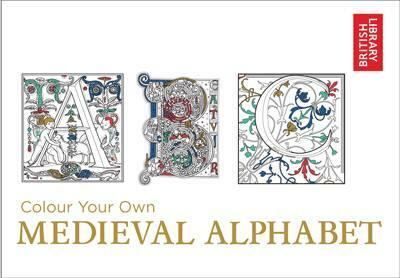 Glorious Illuminated Letters - a Medieval Alphabet - here.